Regular usage of these herbs in addition to other activities such as exercising and consuming a balanced diet will lead to a healthier, happier you. Focusing on health in the hectic and stressful lives that we lead today is becoming difficult. Incorporating relevant herbs in your daily diet is the first step towards a healthier you. Ayurveda texts and modern research say that herbs contain compounds that have beneficial health properties that can help prevent many lifestyle disorders and rejuvenate our bodies. Dr Shruthi M. Hegde, Ayurveda Expert, The Himalaya Drug Company, suggests incorporating the following herbs in your daily diet to practice preventive wellness and take a concrete step towards maintaining good health. Tulasi: Popularly known as "The Queen of Herbs", it yields beneficial results for respiratory wellness. It has compounds which are known to have anti-inflammatory, antimicrobial, and expectorant properties. Tulsi helps modulate healthy immune response and supports early recovery from respiratory conditions. Use it to get relief from cough and cold, especially during seasonal changes, when your body is particularly prone to such respiratory ailments. Ashvagandha: This herb contains rejuvenating properties, and being an adaptogen, helps cope with stress, reduces harmful effects of long-term stress on the body, and promotes healthy sleep. This makes it particularly useful in our stressful lives, where good work-life balance is often difficult to maintain. Triphala: It's difficult to always consume healthy and hygienically prepared food in our hectic lifestyle, making digestive issues a common problem. Triphala helps promote overall digestive wellness in a number of ways. It acts as an effective colon cleanser, regularises normal bowel movements, and aids healthy digestion. Neem: This helps fight acne by inhibiting the bacteria that causes acne growth. The herb helps promote skin wellness, which becomes even more important during summer, when the skin is more prone to acne breakouts and inflammation. It helps rejuvenate your skin, and prevents the recurrence of acne and blemishes. Guduchi: This herb supports the immune system and helps fight against infections by increasing the effectiveness of disease-fighting white blood cells. 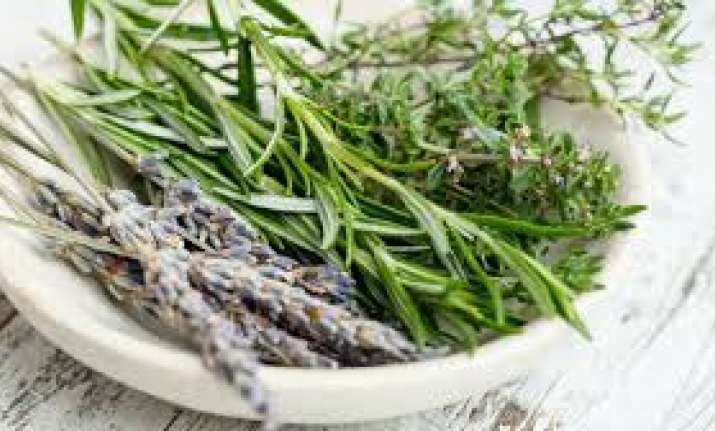 Including this herb in your daily diet will help increase your body's resistance to stress and illness. Make a commitment to getting healthier and staying fit by including these health-boosting herbs in your daily diet. Regular usage of these herbs in addition to other activities such as exercising and consuming a balanced diet will lead to a healthier, happier you.